To rip or not to rip, that is the question | What Hi-Fi? 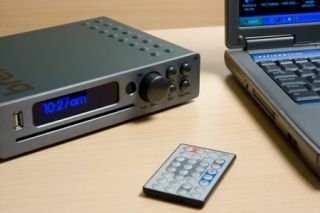 Yesterday's news that the Government is finally to accept changes to UK copyright law to make copying of CDs and DVDs for personal use legal has resulted in a huge sigh of relief from the hi-fi industry. In truth, we've all been making copies for use in the home or the car for years – remember the 'tape is killing music' campaign when cassettes were still popular? – but for years the law has been out of step with the way we listen to music. With the explosion in growth of iPods and other MP3 players, and more recently smartphones, tablets and hard-disk music systems, the fact is consumers are now firmly in the habit of transferring their digital music collections to multiple devices. In fact, back in 2006 the BPI (British Recorded Music Industry) made a clear statement that it wouldn't prosecute anyone who copied a CD at home for their own personal use. So business secretary Vince Cable's announcement yesterday that copyright law needs to be brought up to date is a welcome move. He broadly welcomed the changes proposed in the Hargreaves Report on intellectual property and copyright laws. Martin Brennan, inventor of the JB7 hard-disk music system, has long campaigned for a change in the law. "I'm delighted about it," he told whathifi.com. "When people buy music, they feel they have the right to use it as they want to. We ran a survey, and 98.5% of respondents wanted the law to be changed." Brennan knows more than most about how awkward the current copyright law is. He was censored by the Advertising Standards Authority who upheld a complaint against his advertisements for the JB7 which, the ASA found, "did not make it clear that it was illegal to copy music without the permission of the copyright owner". As a result Brennan had to add a disclaimer to all his advertising. "I don't think format shifting has caused much damage to the music industry," adds Brennan. "In a way the law is catching up with reality." However, when it comes to video, the situation is likely to prove more complex. Most DVDs and Blu-ray discs contain some form of copy protection, so it's harder to copy them. It will be interesting to see if the change in legislation forces the film studios to remove copy protection from DVDs and Blu-rays. Given the response of the film industry so far, that seems unlikely. Lavinia Carey, director general of the British Video Association (BVA), says that allowing so-called format shifting would be "extremely damaging" and that "it’s for the rights owner to decide how to offer the [digital] copy". Just think of the extra cash the film industry generates from those 'special edition' DVD/Blu-ray releases that include a digital download of the film as well as the physical disc. They won't want to give that up readily. Carey adds: "The Hargreaves review contains a number of proposals which could, if implemented without thorough consideration, be damaging to Britain's audiovisual industry, which must surely be unintentional. "A blanket implementation of some of the general recommendations [such as format shifting] without clear evidence that they will stimulate the British creative sector, is not the best approach and a great deal of work is required to refine some of these ideas". Chris Marcich, managing director of the Motion Picture Association, which represents the major film studios, is also concerned. "We remain concerned about a number of recommendations which could have a negative impact on the film industry including format shifting for film and how the digital copyright exchange would work in practice," says Marcich. "We hope that the Government will work with us to ensure that any negative commercial consequences are minimised." Sounds to us as if Vince Cable and the Government may still have some work to do before the new copyright law comes into force.